Benzotriazole are used in a variety of different key industries. It is a chemical most effective as a corrosion inhibitor especially for copper and copper alloys. But also steel, nickel, cadmium and grey iron work well to utilize the protective effects of Benzotriazole.The product is often sold in four different grades from granular, to fine granular, to flake and finally crystal. If properly stored, the chemical should provide a shelf life of about 12 months. Standard packaging sizes may include bags of 25kg, super sacks of 500kg and iron or plastic drums of 100kg, but good suppliers also often have individual packaging sizes available on request. Benzotriazole should only be bought from high quality suppliers, who often work with a global network of facilities on different continents. That way they can provide a culturally sensitive team, able to handle the business culture around the world with ease. These high quality suppliers should only work with the highest standard requirements concerning the quality and safety protocols for their products. Specialty chemicals need a specific knowledge for their production, handling and logistics, which a competent partner for chemicals including Bezotriazole should be able to exhibit. Among the many uses of Benzotriazole, the most common application is used for the prevention of rust and other corrosive effects on metals. It is especially important in its function as a corrosion inhibitor for copper and copper alloys. Because of its excellent conductive properties, copper is used in a wide variety of industries, for example in electronics and related devices, wires and cables, electric motors, and antibiofouling as well as antimicrobial applications. 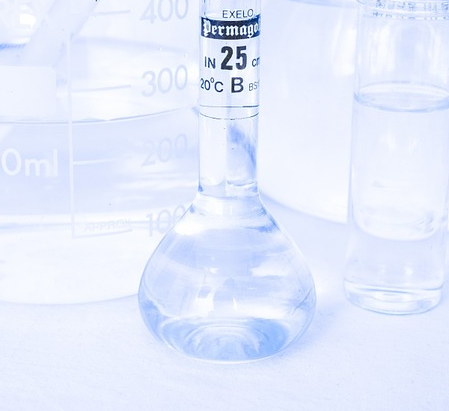 To prevent the corrosive effects that most often appear in copper, Bezotriazole can effectively be used to form an insoluble, strong and two-dimensional barrier film of less than 50 angstroms. Therefore it is able to prevent aqueous media, hydraulic fluids, lubricants and various atmospheres from damaging the material. This protective function is also usable for other metals, especially in cooling water systems and other coolants in general, but also in industrial water treatments and lubricants like in drilling or cutting fluids. Other common applications include metal packaging, dishwashing tablets for silver protection, VCI papers, metal detergents and polishing as well as antifogging agents. When being used Benzotriazole does not leave a greasy film on the metal it is applied to, nor does it change its appearance in any other way. It is wipe and cleaning resistant and leaves nothing but a protective coat.